You are here: Home / Entertainment / Don’t Miss SPCA Cincinnati’s 17th Annual Fur Ball! Save the Date: Early Ticketing Now Available! 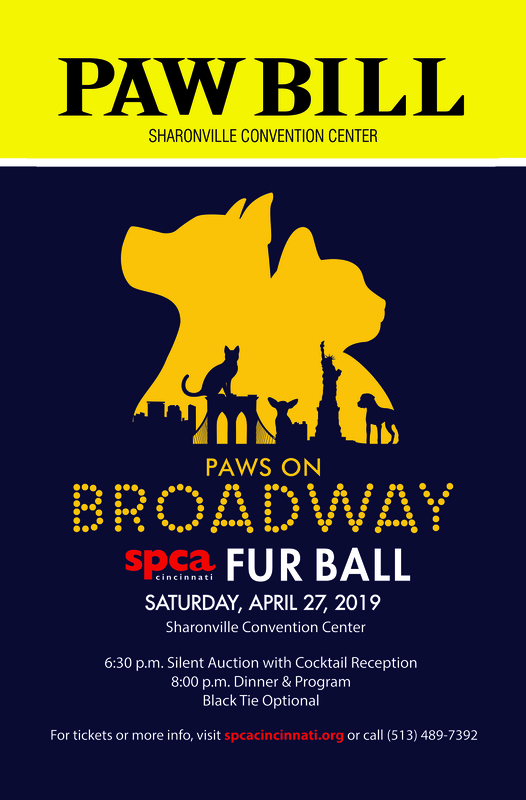 Thanks to all our Fur Ball 2019 sponsors and our Presenting Sponsor, IAMS™ for helping to make SPCA Cincinnati’s 17th Annual Fur Ball, Paws on Broadway possible! Join us on Saturday, April 27, 2019 at the Sharonville Convention Center for a wonderful evening filled with fine dining and live entertainment. 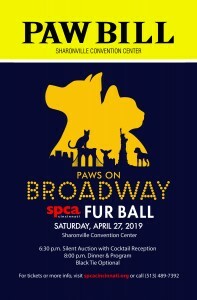 More than 650 guests will partake in extravagant live and silent auctions to benefit animal welfare. New to 2019 Fur Ball! Get your ticket for a drawing to win a trip to a lavish Italian resort, Monteverdi in Tuscany, Italy. Buy now, ONLY 350 TICKETS WILL BE SOLD! Questions about Fur Ball or the Monteverdi Tuscany Resort Drawing? Please contact Trent Owens at towens@spcacincinnati.org or phone 513-489-7392. Since its founding in 1873, SPCA Cincinnati has saved countless animals as the voice for those who cannot speak for themselves. Just last year alone, more than 7,000 animals were placed in adoptable homes and nearly 1,000 were reunited with their owners. Thousands of animals are entrusted to us. Food, shelter, and medical care is essential. We take pride in our roles as animal advocates.That pride is a partnership with individuals, companies, and organizations throughout Cincinnati – all of them animal champions.